We live work and play in beautiful Annapolis and love showing folks Annapolis for the first time, it is just a great place to live. We are avid boaters and spend as much time on the water as possible. 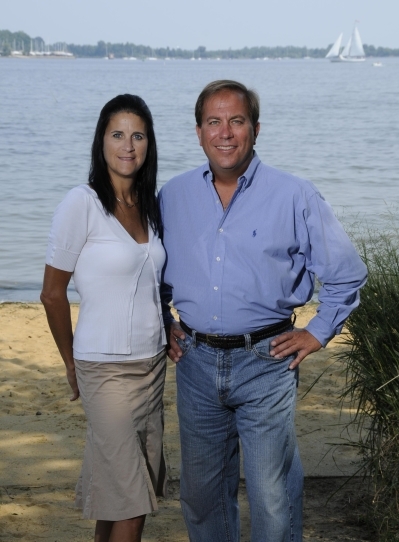 We even show waterfront properties by boat.....seeing Annapolis and the surrounding areas by water makes us really appreciate the Chesapeake Bay and we love to pass that appreciation on....Connected not only to the Chesapeake Bay, we are also connected to the pulse of DC. W.C. & A.N. Miller is the premier luxury broker in the DC area. We specialize in relocating folks to beautiful Annapolis. Whether you're buying or selling a home, or just looking for some honest answers, you'll find that we have a sincere interest helping you. We've built our business on the concept of "high touch", and to us that means being available to our clients, armed with the information they need, and equipped with the kind of integrity on which they can rely. There is a human element present in each and every real estate transaction. Its not all just contracts, negotiations, offers, and counter offers.When you work with us, you can be assured we'll take the time to get to know you, as a person and as a family, and that we'll address all that you hope to accomplish, professionally and personally.